April is, of course, tax month. 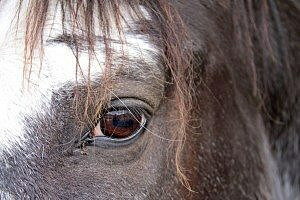 This year at Dunrovin, April also saw the death of one of our most beloved horses, Charger. Charger was a big, beautiful, blue roan Tennessee walking horse that was most certainly one of the gentlest souls I’ve ever known. Steadfast, kind, and gentle, Charger always took extra care of anyone in his presence or on his back. He was the horse of choice for new or nervous riders. It seems that Americans as a whole treat these two certainties very differently. While whining and vociferously disparaging the need for taxes, Americans dutifully line up each April to pay them. In fact, according to Vanessa Williamson’s article in the Atlantic (4/15/15), “the United States has one of the highest rates of tax compliance in the developed world.” Furthermore, she reports, Americans are not loath to increase their own taxes in spite of political rhetoric to the contrary. Many see taxes as a legitimate way to support the common good. Dr. Bowron attributes this to medical advances that may well complicate dying rather than prolonging or improving life, and to the demographic shift away from the land and an agricultural existence. Most Americans are largely isolated from death and the natural world. This is where Dunrovin enters the picture. You see, Charger did not die alone. He died among his herd, in the company of the people who had loved and cared for him for many years; and he died in front of a whole host of people he never once saw. People who knew him only via Dunrovin Ranch’s web cameras. People who watched his daily life through the changing seasons, who heard stories of his trail adventures and his ability to inspire confidence, and who delighted in seeing little kids climb up on his back for their first horse ride. He did not know them; but they knew him. And they loved him. They grieved his death. They saw it happen, they talked about it, they raised money and sent Dunrovin flowers in his memory. They let death’s reality touch them personally. Had you told me several years ago that any of this was possible, I would have shrugged with puzzlement and thought you crazy. Things on the internet are not real, that is, unless they are. Web cameras are not TV reality shows. They are unscripted, unedited. There’s no director. Nature and fate rule. And that is the point. Web cameras are more like periscopes. They extend eyes and ears to explore different worlds, worlds that can expand emotional, spiritual, and intellectual horizons. Synchronous internet communications such as chat facilitate sharing. Chatters are “in it” together, listening and learning from one another. Friendships form. Hearts and minds open. I did not start out to create a portal for the urban to reconnect with the rural and with nature. It was not my intent to develop a nature reality show. Yet, that may be exactly what I have done. It now captivates and intrigues me. I am heartened by the Internet’s ability to connect people in truly meaningful, genuine ways. My world is larger. I now have many, many unmet friends from many unknowable places. When Charger was found down in the pasture, I did not turn the camera away. We went to his aid and called the vet who determined that he had broken his neck, likely from a fall while running. He was 25 years old. In front of everyone, we soothed him, stroked him, and talked to him as injected chemicals coursed through his veins to stop his heart. It was a quiet, dignified, painless death. We chatters still speak of Charger’s death, life, and memories. Communal grief lingers. No one mentions taxes, while spring’s renewal begins to engulf us. 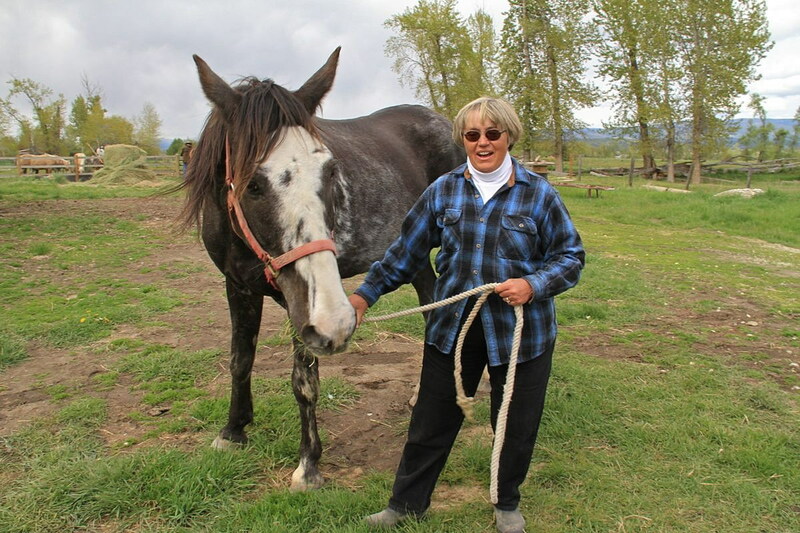 SuzAnne M. Miller is the owner of the Dunrovin Ranch in Lolo. Her column appears regularly in the Missoula Current. Visit her websites at www.DunrovinRanchMontana.com and www.DaysAtDunrovin.com.